Padraig O'Malley, the behind-the-scenes "peacemaker", has a gift for bringing together people in conflict - from Northern Ireland, to South Africa and Iraq. His approach comes from his own struggle with alcoholism that offered lessons to reconcile big differences. 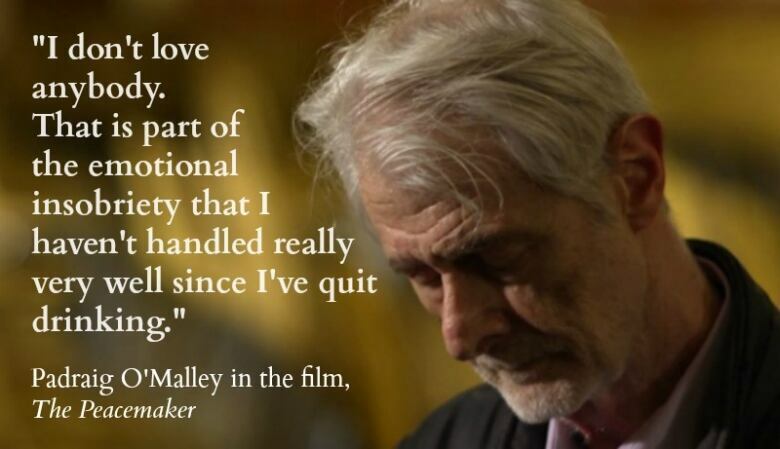 Padraig O'Malley is one of the very few people in the world who can be accurately introduced as a "peacemaker." As a conflict mediator, he's spent a career working with communities torn apart by war and violence. Born in Dublin, he spent two decades working for peace in Northern Ireland. But he's also brought his skills to bear in places as far apart as Baghdad, Johannesburg and Srebrenica. O'Malley is renowned for his ability to bring opposing sides together, to lay down the groundwork for compromise and mediation. But he also has his own internal conflicts and struggle. He is an addict — an alcoholic who has lost the memory of entire periods of his life. 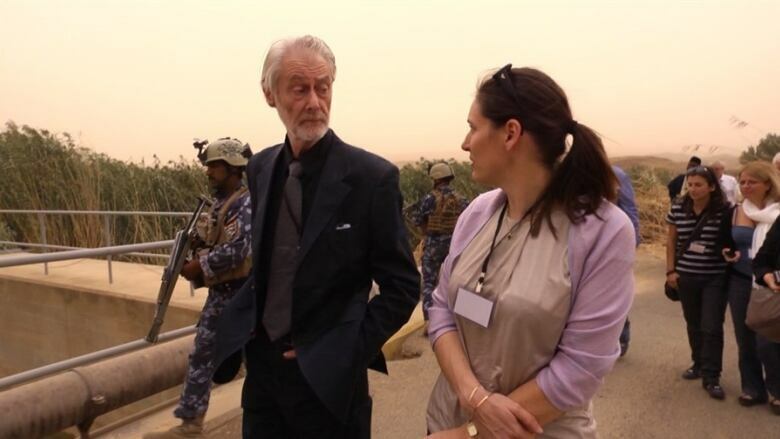 Padraig O'Malley has, remarkably, applied the principles of addiction treatment to his work in conflict mediation. His story is being told in a new film, The Peacemaker, airing at the Toronto Hot Docs film fesitlval. O'Malley is the author of Two-State Delusion. This segment was produced by The Current's Josh Bloch.